Andrew Putnam is back on the PGA Tour and loving it. He is ranked 31st in the FedEx Cup standings and just earned a two-year exemption with his win. Maybe Andrew Putnam should take more working vacations. Putnam, who grew up in University Place, did not have great expectations last week at the Barracuda Championship, located between Reno and Lake Tahoe in Nevada. He saw it more as a vacation, and his parents, wife and one of his best friends were with him in Incline Village. Whatever it was, it was a week he will never forget after winning his first PGA Tour title and earning a spot in the PGA Championship, which begins Thursday at Bellerive Country Club in St. Louis. Before his win, Putnam was the third alternate into the final major of the year. But by winning the Barracuda Classic, Putnam not only earned an automatic berth into the PGA Championship but also a two-year exemption on the PGA Tour. “The two-year exemption, that changes everything,” said Putnam, who was on the PGA Tour in 2015 but did not make enough money to keep his card, and spent the past two seasons on the Web.com Tour. It is pretty heady stuff for a player who began the season just wanting to play well enough to retain his PGA Tour card, and now has a good shot at getting into the 30-player season-ending PGA Tour Championship. The victory was a culmination of a few great months for Putnam, whose older brother Michael has played on the PGA Tour for several seasons and is now on the Web.com Tour. Since missing the cut at the Valspar Championship in early March, Andrew has made the cut in 12 of his past 13 events, with the win last week and four other top-10 finishes, including a second in the FedEx St. Jude Classic behind Dustin Johnson, the world’s No. 1 player. Now, at No. 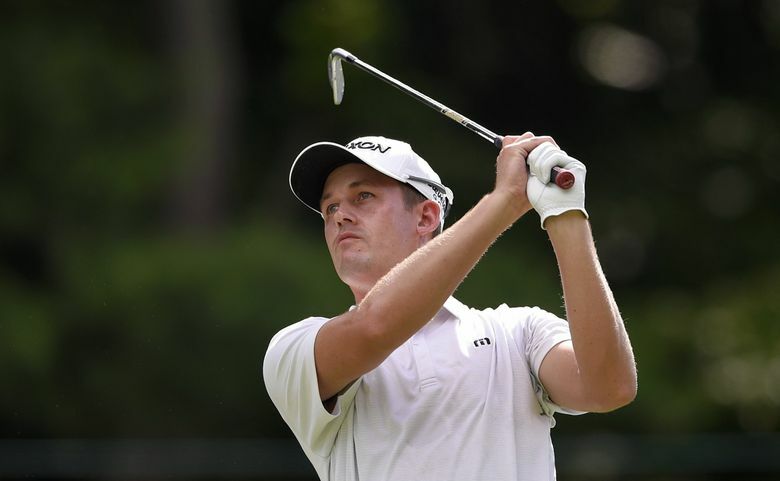 31 in the FedEx Cup standings, he has a real shot at his new goal, making it to the PGA Tour Championship that pits the top 30 players after three weeks of playoffs beginning the last week of August. All is good in Putnam’s world. Certainly, he is much more content than when he struggled in his rookie season in 2015, but a bright spot was that he and Michael became the first set of brothers to play on the PGA Tour since 2004 when Dean and Brendan Pappas played together. Still, it was a tough year for Andrew, who tried to play at least nine holes a week with his brother. He took early leads in a couple events at the start of the season, but faded in them and struggled so badly in the second half of the season that he finished 182nd in the FedEx Cup standings and had to go back to the second-tier Web.com Tour. “I feel like your rookie year on the PGA Tour is always a big learning year, and a big learning curve,” said Putnam, who lives in Phoenix. “It is a pretty big jump. Started off pretty good my first year, but I ended up changing a few things. I felt like I needed to be someone I wasn’t to have success on the Tour, and you get caught up watching other guys, and how they play golf, and change stuff. Putnam won a Web.com Tour event in 2017, the second of his career, and finished eighth on the money list to regain his PGA Tour card. Although brother Michael is on the Web.com Tour, there is a familiar face from home on the PGA Tour with him. Andrew Yun, 27, lived next door to the Putnams for several years while he was growing up before moving to California. Yun is struggling in his rookie season, something Putnam can empathize with. But now Putnam is on a roll, and it would not be a big surprise if he contended this weekend in the PGA championship. Scott Hanson: 206-464-2943 or shanson@seattletimes.com; on Twitter: @scotthansongolf.